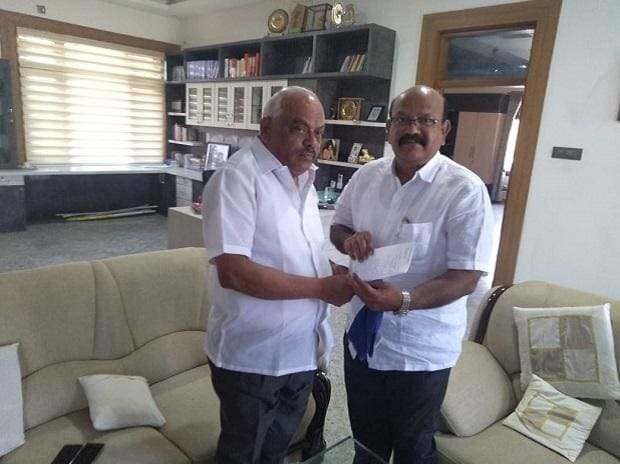 Rebel Congress MLA Umesh Jadhav Monday submitted his resignation to Karnataka Speaker Ramesh Kumar, according to state secretariat sources. Jadhav, who appears to have sided with the rebel faction led by Ramesh Jarkiholi which threatened to topple the JD(S)-Congress coalition government in the state, is a two-time MLA from Chincholi in Kalbyrgi district, a bastion of senior Congress leader Mallikarjun Kharge. Jadhav was reportedly unhappy with the "autocratic" style of Social Welfare Minister Priyank Kharge. Sources close to Jadhav told PTI he intends to join the BJP on Wednesday. Commenting on the legislator's exit, Karnataka Pradesh Congress Committee president Dinesh Gundu Rao said Jadhav was doing "drama" by promising to remain loyal to the party. "He shouldn't forget that whatever he's today is because of Congress. Anyone can come and go but the party will remain forever," Rao told reporters. He asserted that the other Congress MLAs will remain with the party. The Congress previously urged the Speaker to take action against Jadhav and three other rebels after they failed to attend the Congress Legislature Party meeting last month. The speaker is yet to take a call on that. KPCC working president Eshwar Khandre said Jadhav had ruined his career by quitting the party as the speaker is yet to take a decision on his disqualification. "Once disqualified, he cannot contest elections," Khandre said.